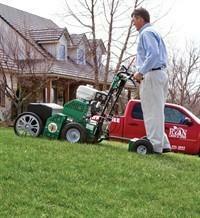 Billy Goat Self propelled easy to use over seeder. Call now to reserve and get your yard looking greener then ever before! !